Annual superhero mission heading for London; don’t miss out! On Sunday 17th May over a thousand superheroes will descend on Regent’s Park, London in a bid to make the UK a more charitable place to live. Real-life heroes will embark on the annual “Do It For Charity Superhero Run” to raise funds for their favourite charity – an occasion where costumed crime fighters and masked vigilantes join forces for the greater good. Could you be our Clark Kent or Helen Parr (a.k.a. Elastigirl)? Every real-life superhero to take part in the run will receive a free costume; so if the Hulk has split his seams, this time beyond repair, or Lois Lane’s made off with Clark Kent’s secret undergarment, everybody can still be Mr Incredible in a flash! No previous experience is required as with a bit of training (and the use of your super powers!) the 5K or 10K distance should be within your capabilities. Despite the competitive nature of superheroes this event is all about the “taking part” not the “winning” so you can run, jog, walk or if powers permit – fly! – you decide! Tips and schedules to set your targets and help you achieve your goal can be found on the DoitforCharity and the NHS Couch to 5K websites. 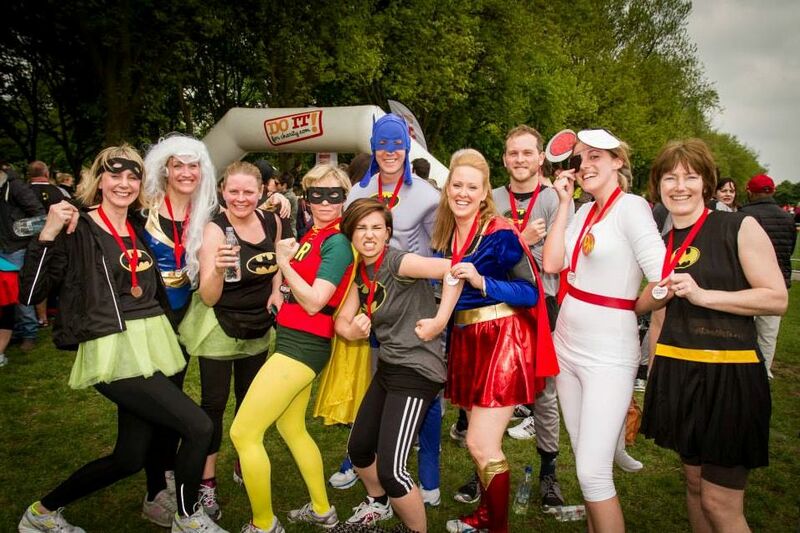 The money raised from this year’s Superhero Run will go towards funding our services for pharmacists in need. Read here to see how your donations can help. You can register here to take part in this year’s Superhero run. The registration fee is £22 and all you need to do is pledge to raise £100 for Pharmacist Support. If you’d like to receive further details about the run or require help with the registration process, contact us at fundraising@pharmacistsupport.org or call 0161 4410317.